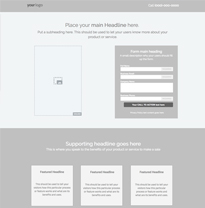 The under construction landing page template features small form and a bold design.This page is of the right size to create mystery, yet offer enough information to build your subscriber base. 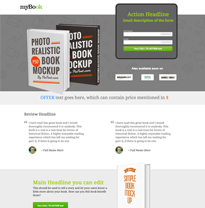 Your product page does require a landing page design template for pricing. 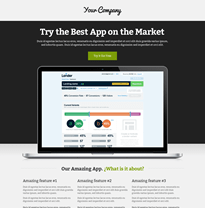 This best landing page template is built to test your 'price messaging'. Use Lander's built in A/B testing to figure out what is or isn't working! A top landing page design template for your product must have all the elements that you need to get customers to buy-in into your product. Include pricing section, edit or delete sections that you'd like to customize and voila - you're good to go! This Mobile App landing page template for an app has all the prerequisites you need to convince your newly acquired customers to get interested in your mobile app or product. Includes testimonials, pricing, a section for 'how-to?' video and more! 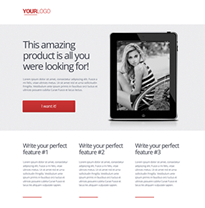 A product wireframe is a fantastic landing page template to showcase your latest product. This landing page design helps make your product look more professional and easily establishes trust. Landing Pages Create free landing pages with LanderApp landing page builder. Explore over 100 landing page templates across all industries, optimized to land you more leads!